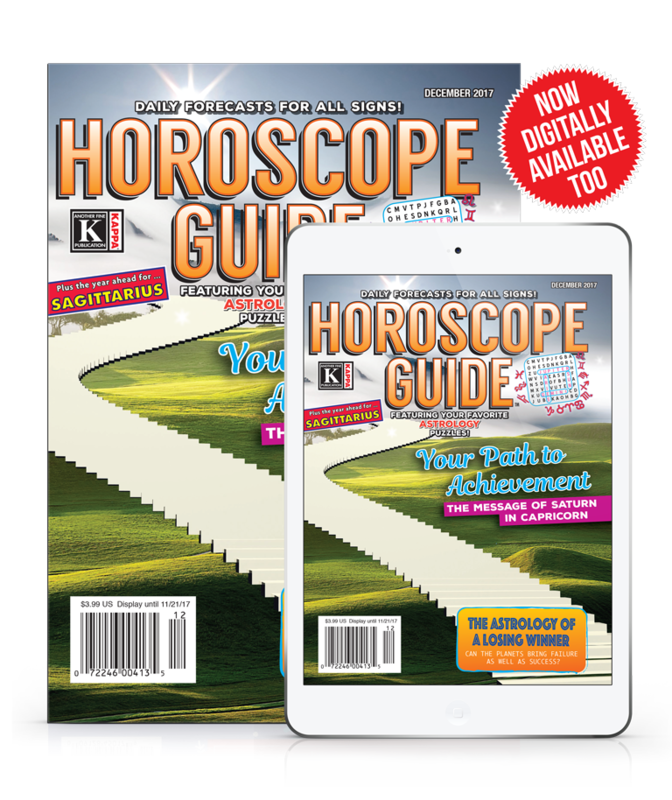 Get 12 issues of Horoscope Guide delivered right to your door for only $38.30. That's a savings of nearly 20% off newsstand price! Or choose our digital edition - perfect for reading on your tablet or smartphone! You'll get 12 issues for only $28.99!